Frank F. Islam is a successful entrepreneur and investor based in metropolitan Washington, DC. He is the Chairman/CEO of FI Investment Group LLC (FIIG), an investment firm he founded in 2007. FIIG focuses on providing growth capital to emerging companies, as well as managing specialized and branded funds. His investment style centers on innovative strategies for value creation, such that he is often the first to invest within a new economic paradigm. Previously, Mr. Islam was the founder and CEO of QSS Group. QSS Group was an Information Technology company which generated a revenue of $300 Million. Through QSS, Mr. Islam garnered multiple industry awards for leadership, entrepreneurship and excellence. In 1999, Mr. Islam was recognized by the Ernst and Young as Maryland Entrepreneur of the Year. The US Small Business Administration selected him as the Small Business Person of the Year of the Washington DC Metropolitan Area in 2001. Mr. Islam serves as a member of the Advisory committee of the Export-Import Bank of the United States. Mr. Islam serves as a member of the Department of Commerce Industry Trade Advisory Committee (ITAC). 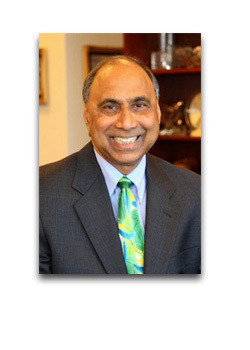 He also serves as a member of the advisory board of the university of Maryland Smith School of business. Mr. Islam has been an active participant in the Information Technology, Aerospace Engineering Services and Systems Integration business for more than 25 years. He holds a B.S. and M.S. Degrees in Computer Science from the University of Colorado. His extensive business development experience within the Federal Government sector was the key to the remarkable growth of QSS. Mr. Islam is a well-known philanthropist whose private foundation supports educational, cultural and artistic causes worldwide. He participates in a number of non-profit organizations as a board member, such as TiE –DC and the Strathmore Center for the Arts (located in Montgomery County, Maryland), as well as chairing the StateDemocracy Foundation. He speaks often at a variety of commercial and non-profit forums, and is frequently included in press coverage. Mr. Islam hosts a TV show “Washington Current Review” on MHz Networks. In all endeavors, whether in the world of business or charity, Mr. Islam strives to create opportunities that are sustainable and uplifting for humanity—always guided by the virtues of hard work, focus, quality, innovation and kindness! To learn more about Frank Islam, visit his personal Website.